As Good as Gone is the first-place winner in SNHU’s 2016 Fall Fiction Short Story Competition. It was said that Saturn ruled civility. When Saturn fell from the sky, it was as if the world came softly out of focus. The trees outside my window lost their clear-cut edges. Their leaves multiplied the way objects do through crossed eyes. Once-solid boundaries began overlapping like railways branching into other worlds. Nehal had been in Egypt. Sisi was dead and Cairo was a war zone. We had not seen one another in years, yet somehow I was not surprised by the call. Distinctions were less clear now, and I couldn’t quite remember where we’d left off. We didn’t speak about what had been going on. Nor did we ignore it. We simply spoke of how to proceed, and she reminded me that my greatest virtue had always been charity. I didn’t dare tell her that virtue, too, had been lost. We agreed to take our chances, for things had changed–the world had changed: that neatly fragile scaffolding that told us our place in it was no longer there for us. So it made sense to reunite. “How are your parents?” I asked. The voice I heard was an echo. It was said that Jupiter ruled ideas. When Jupiter fell from the sky, things ceased to carry any weight. The motivation underpinning my actions wavered. I ate with the slow passivity of someone who denies the need for sustenance. One who doubts his own existence is biological in origin. I read newspapers and gleaned nothing of meaning. The world was crumbling around us and all that mattered was that I was distinctly uninterested in any of it. Nehal and I were living in the country, where we kept some goats that had wandered there unknowingly. Nehal used chicken wire to build a fence, but they showed no intention of leaving even if we had let them. We gave them what little water we could spare, and they repaid us with their inquisitiveness, the very asset I had newly lost. Nehal would wake before me, opening the window and letting the chorus of birds rouse me from sleep. That day I woke slowly, the warm afternoon air laid over me like a blanket, the birds long since quiet. Nehal looked up from her reading. “I let you sleep,” she said sweetly. I saw the paper in her lap and wondered if she could make sense of all the talk about war and revolution, of which Egypt had only been the start. Staring out the window, I tried to recognize the patterns in the leaves. For the first time, I forgot what it was about nature that had inspired me in the first place. Not long after, I gave up my work at the university and we ditched our plans of moving to the city. I didn’t understand why, and I didn’t know who to ask. It was said that Mars ruled passion, and when Mars fell from the sky it felt like a vital fire had gone out. In the sulky breeze that remained, hope really did seem to have vanished. Every move I made took concentrated effort. Effort that I didn’t have. Nehal spoke of going back to Egypt to see her parents. They would be alone now, and there wouldn’t be much more time. There was a red glow in the air when she spoke of such things, as if the sun and sand had conjured themselves up from her imagination. Whatever wars had been started had at last been settled, and the world was not in shambles after all. In fact, for once it seemed we were at peace. But something fettered us to where we were. Me to this place; her to me. Leaving was no longer an option. Meanwhile, I could almost barely conceive of her parents, out there so far away. As if being anywhere out of immediate range made something unobtainable and therefore unreal. At night we shifted through the television stations and there was nothing. No news. No sports. No entertainment. So instead we lay and watched the sky, night after long night, watching the partition fade as the lights blinked off one by one. “Is the Earth spinning faster?” Nehal asked. “It is impossible,” I said, not knowing if it was the truth or not. It was said that Venus ruled love, so when Venus fell from the sky I wept. I knew my tears were worthless, because I no longer loved Nehal, and because she must no longer have loved me. Still, she was the only thing I had, and therefore the only thing left to mourn. It is strange thing to lose the ability to love. I felt its absence inside of me like the smoke that escapes when a candle is blown out, wispy and indistinct. Without venery to bind us, we were cautious, like two different species of animal made to live in the same small cage. But over time we began talking, first out of necessity, then out of whimsy, and with amazement we discovered we were able to talk to one another freely, unbothered by the constraints that bound us before. Suddenly a certain effortlessness pervaded everything, and a new bond emerged. Its basis was conversation. “Tell me a story,” she said one night. “There was a professor who always told her class about a colony of ants. She traveled all across the world and she taught many people, and she always taught this lesson first. The ants don’t speak, she would say, but they still communicate. They still act and accomplish and even thrive. The colony will send signals within itself; it will form groups to take on specific tasks; it will even make decisions. But to all of this, the ants themselves are oblivious. To any single ant, the activity of the colony is not only irrelevant, it is not real. An ant is simply an ant. She punctuated the end of her story with a quizzical look, so I looked up. The sky above looked like black glass. There was almost nothing in it. “I know,” she said, lowering her head as if it were somehow her fault. Within a week, the goats had died. Nehal said that it had happened suddenly and everywhere at once. As she did, the air around her gave a stir, and I saw the burnt glow that told me her thoughts were far away. She did not mention her parents, so we gave the goats a funeral instead. I thought briefly of the university, where there were telescopes directed at every corner of the sky, and I wondered who was looking through them now. Mercury, it was said, ruled communication, and when Mercury fell from the sky, the birds no longer sang. I listened to music and it left me unmoved, unsure of how to feel. The newspapers stopped reporting, and worse, Nehal and I stopped talking. All that was left to do was worship her. She moved silently under the moonlight, and somehow her wisdom appeared to have grown. Though I could not speak, I still showed her my devotion, accompanying her out into the cold, silently praying as her body warmed the air around us both. For all I knew we could have been the only two left in the world. The moon was the last to go. When the sun went down we took inventory of the sky, and we found nothing left at all. The night itself seemed unending, like the very sky it contained. With no light and no motion to measure by, nothing to guide our way, there was a stillness surrounding us that was eternal and unafraid. Seeing the sun again was no longer a guarantee. And if it never rose again, then perhaps we would be better off for it. Still, I wished that it had taken us with to the other side. Or that it had fallen long ago, to spare us from all of this. I wished to see it one last time. But that didn’t matter; for tonight, it was as good as gone. Joe Skonie lives and works in Austin, Texas. 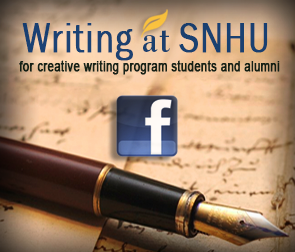 He attends the creative writing program at Southern New Hampshire University. This is his first publication.